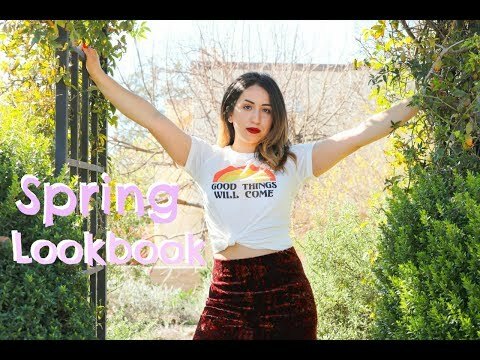 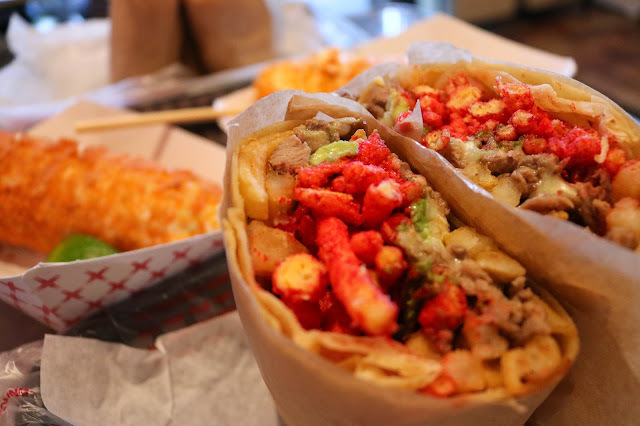 Ladies and gentelmen, the latest craze of putting Hot Cheetos on everything is something that I am here for! 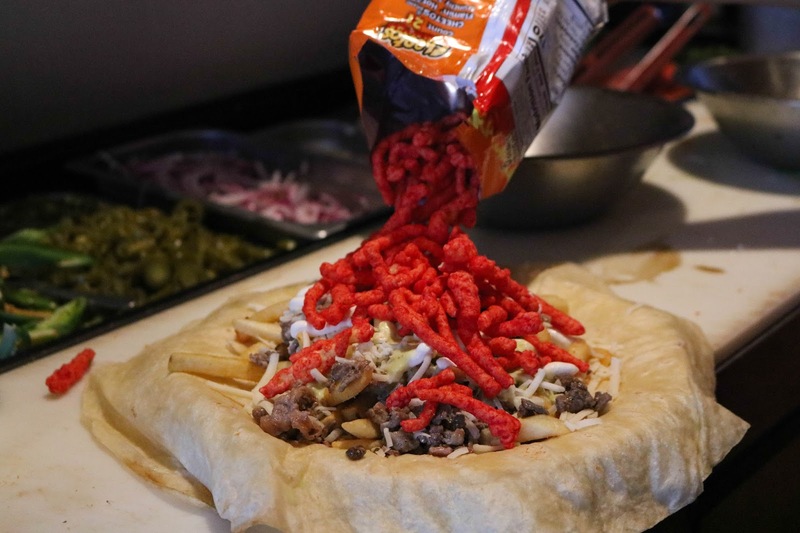 If you are a Hot Cheeto lover like I am, you're going to wanna try this latest creation. 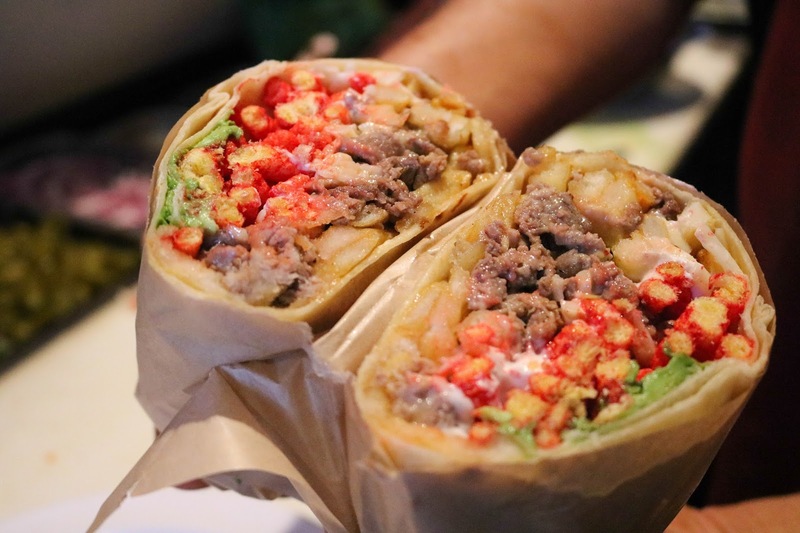 I tried my first "Cali Burrito" from Paraiso Juice Bar in La Mirada and boy oh boy, it was delicious! 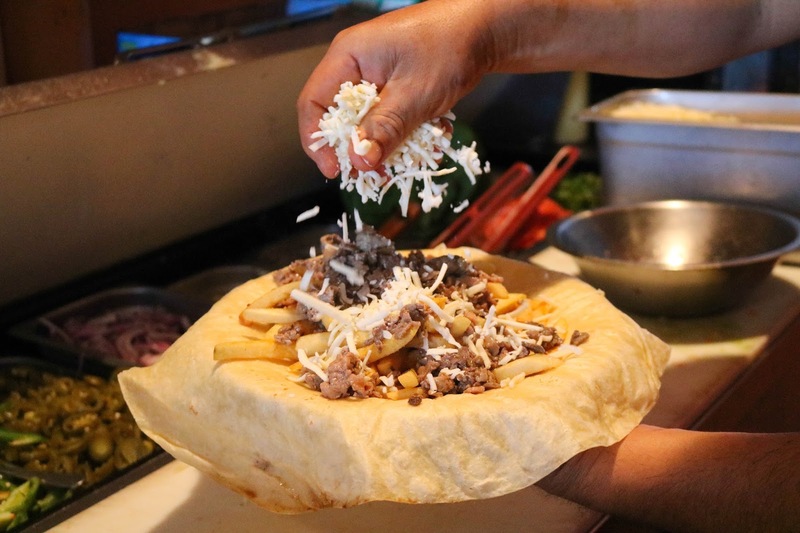 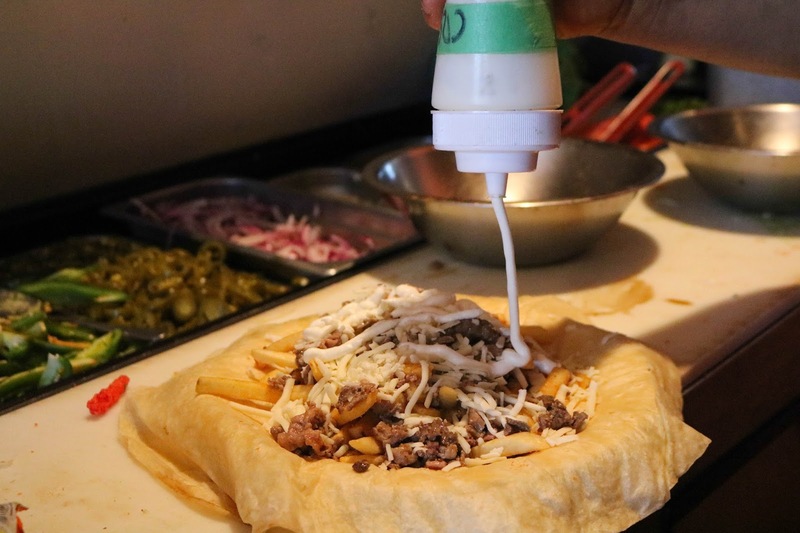 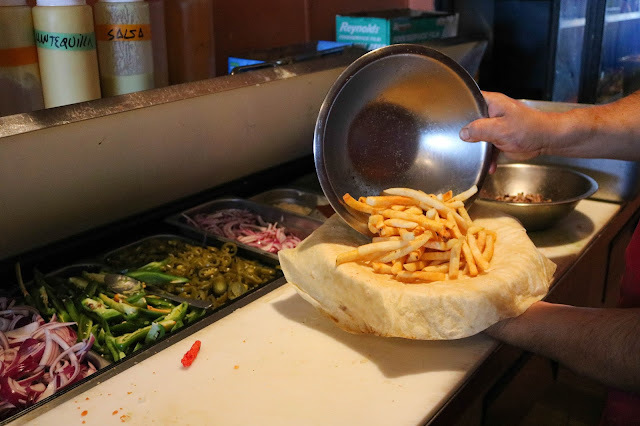 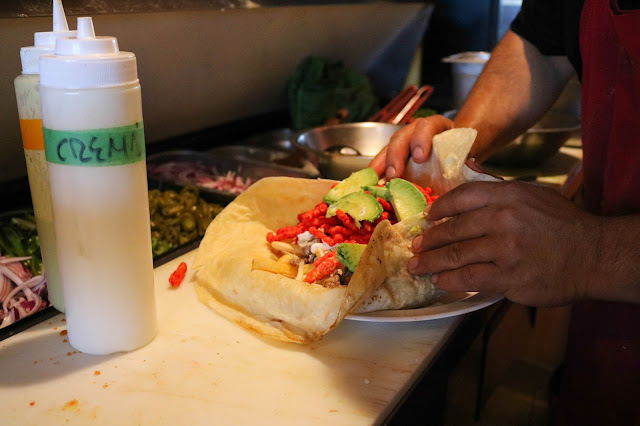 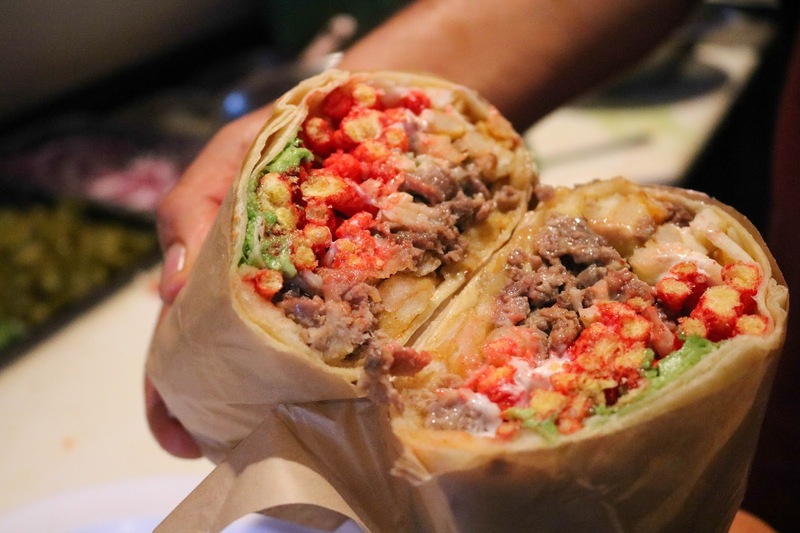 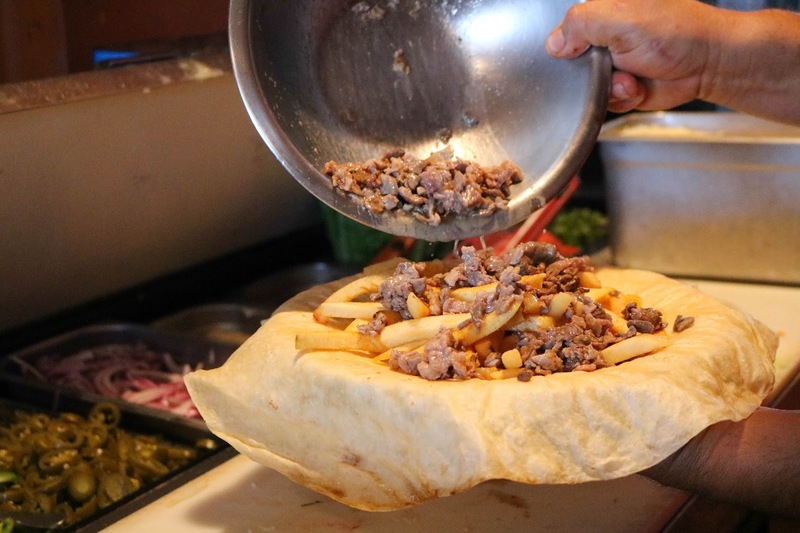 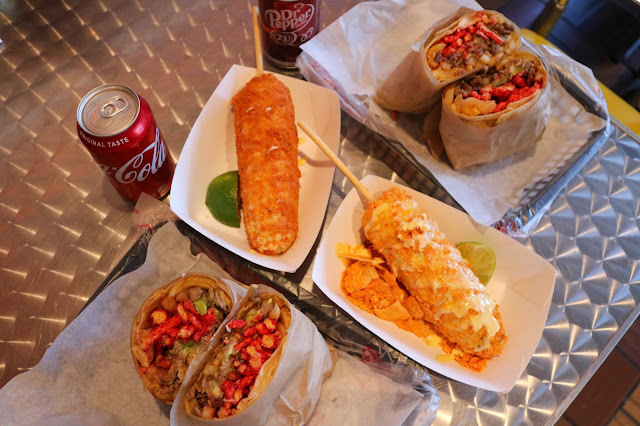 So let me dial it back for you; a Cali Burrito is a huge burrito that consists of these ingredients: carne asada, fries, crema (cream), avocado, cheese, and hot Cheetos! 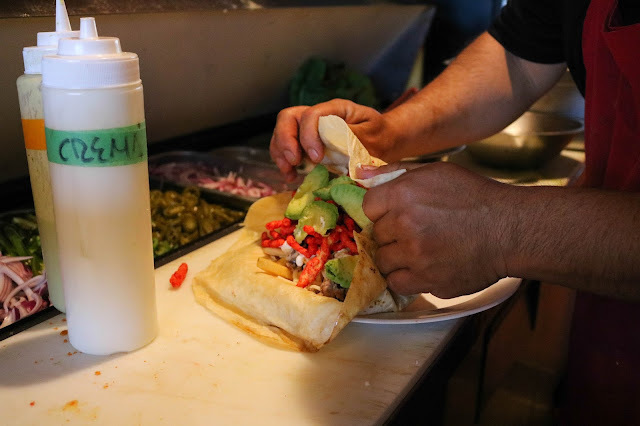 It's rolled in a burrito with love and they also serve it with some chile if you're feeling spicy. I know what you're thinking, "Does it taste good though?!" 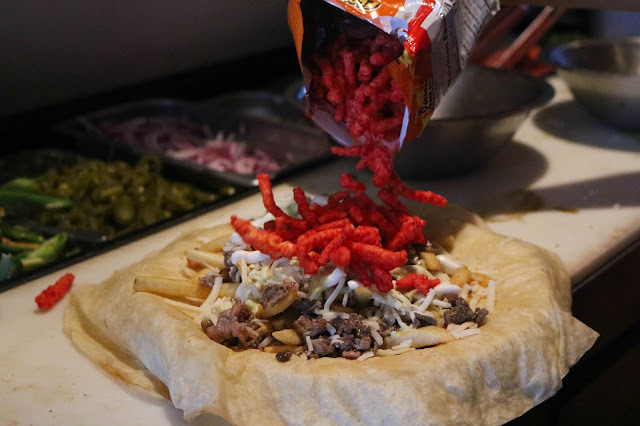 My first bite exceeded my expectations; think Alberto's asada fries but with a Hot Cheetos crunch kick! 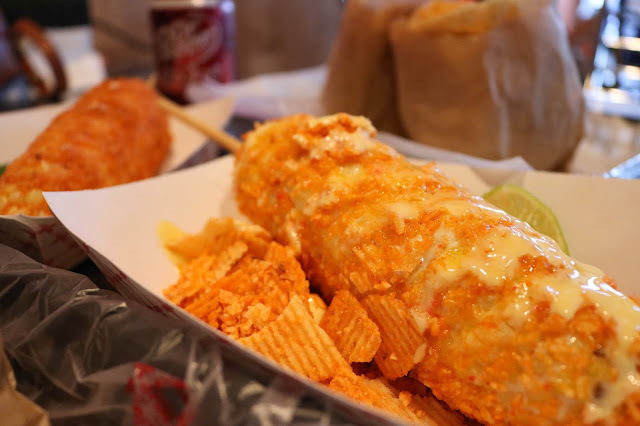 If you've read my previous food tastings or you know me well, then you know I have a love for elotes. 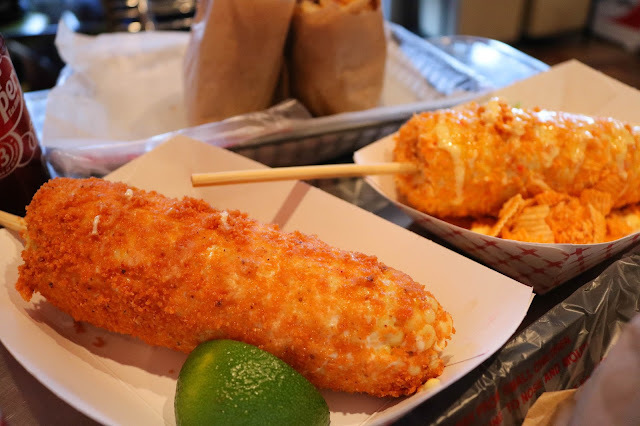 This place also serves elotes and esquites (corn in a cup). 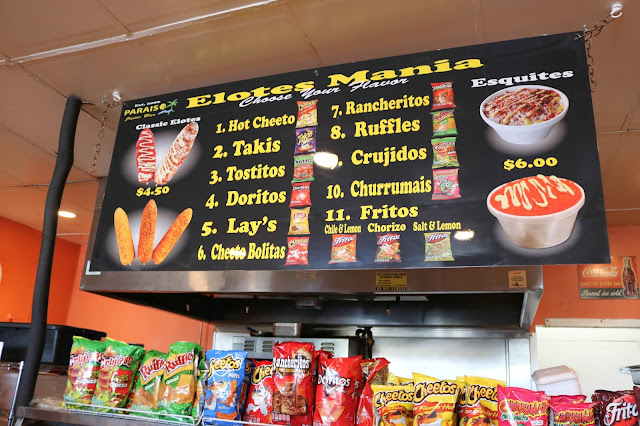 But the best part is there are ELEVEN different choices of chips to choose from! 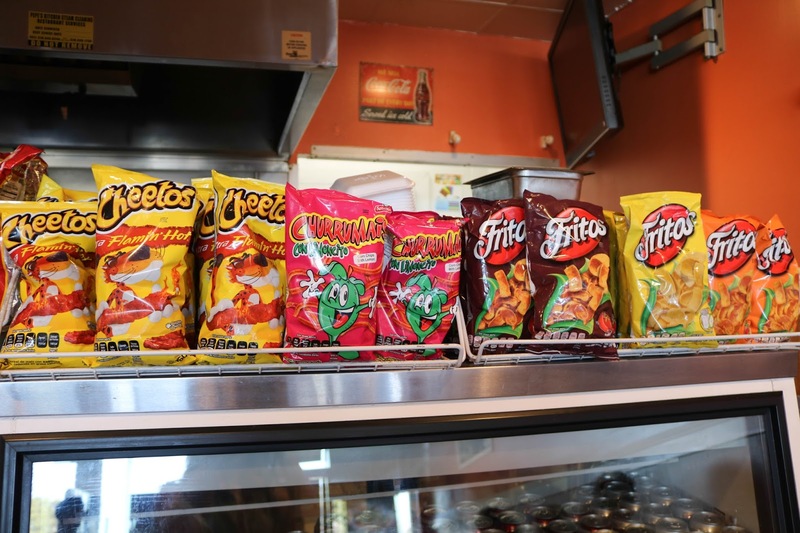 You got your Hot Cheetos, Takis, Lays, or my personal fave, cheddar Ruffles! 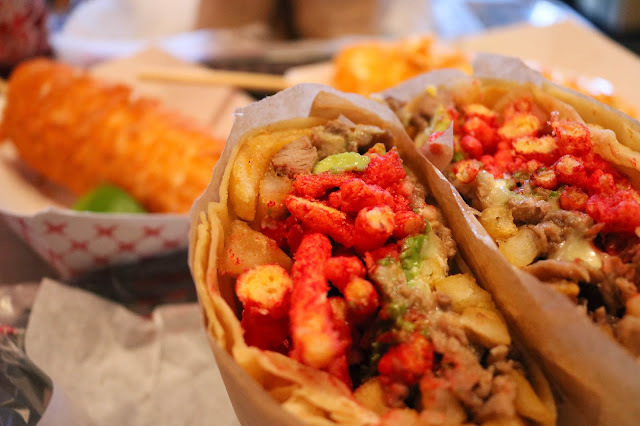 Let me tell you, tastes just as good as the Hot Cheetos elote that's been going around. 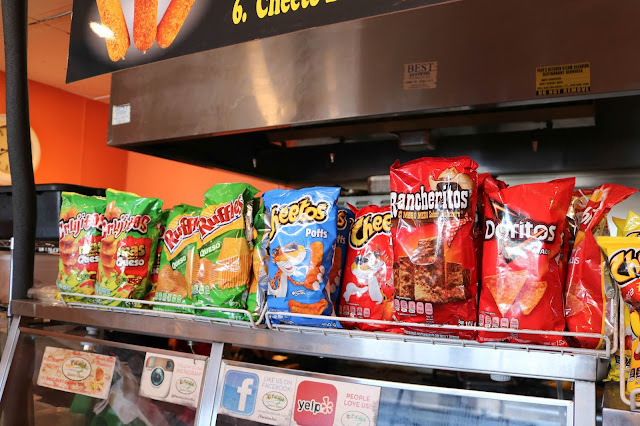 I was excited to try because cheddar Ruffles are my fave chips eva. 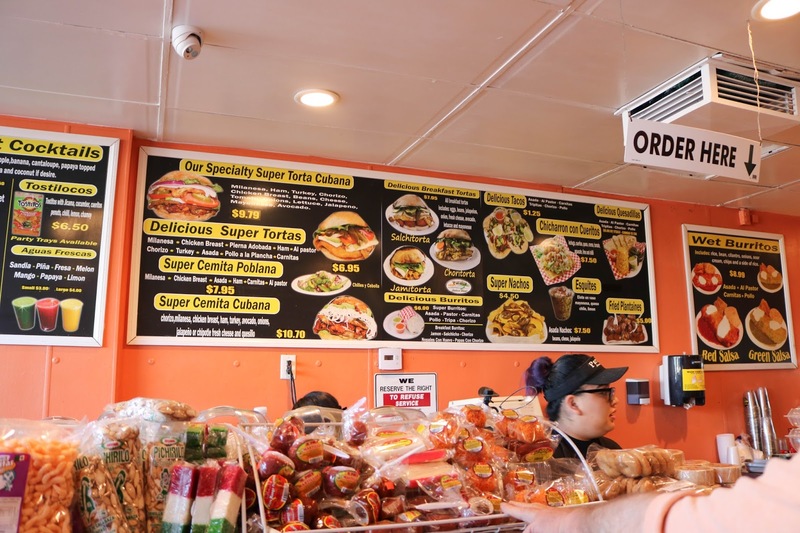 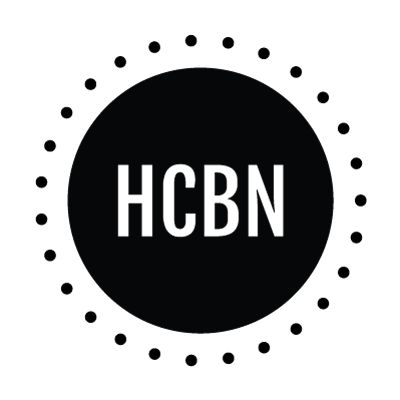 If that's not all, they also serve Agua Frescas (Fruit water), chamangos, tortas, smoothies, and more. 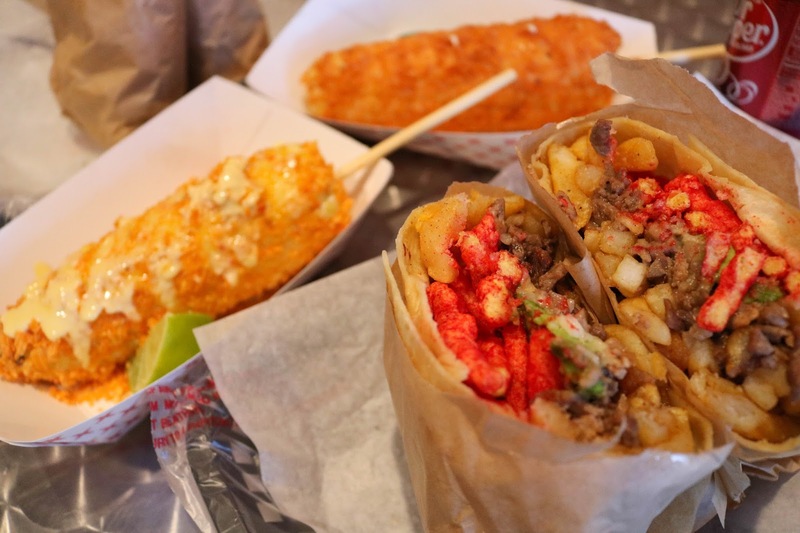 So if you aren't already intrigued go ahead and check these pictures out to see the goodness for yourself. Try not to drool! *I was invited to Paris Juice Bar in exchange for a blog post review. 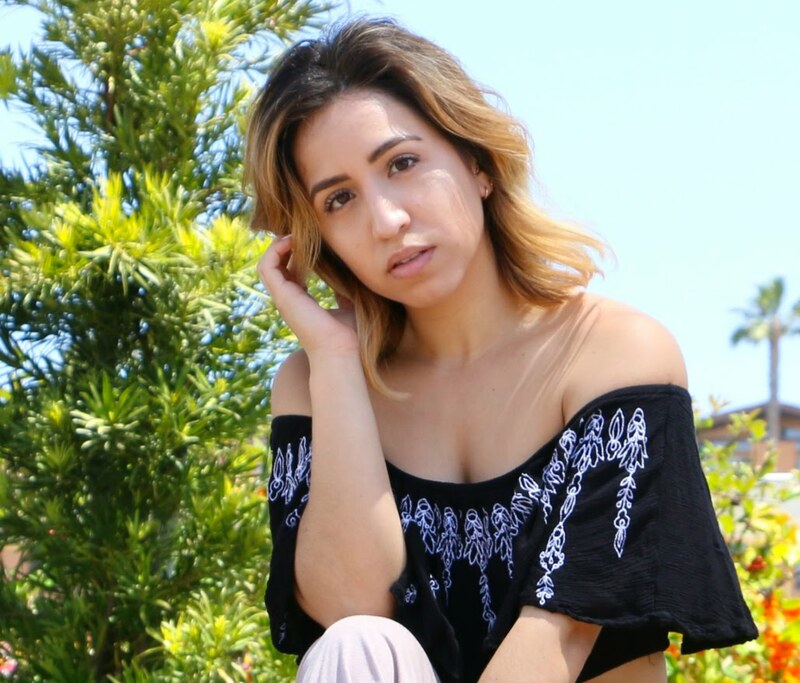 However, all content related to the post are my honest and true opinion.